In April 2010, Projects Abroad founder and Director, Peter Slowe, in his capacity as an economic advisor to the Labour Party, met with a young socialist delegation from France, Georgia and Norway. They worked together on the funding of an anti-fascist youth conference. The leader of the delegation, Tore Eikeland from Norway, then 19, was highly articulate and had a clear and radical vision. His mission in life was to improve the world in practical and achievable ways. On 22nd July 2011, Tore Eikeland was murdered on Utøya Island, Norway, along with 68 of his friends and comrades. One of Tore’s passions was third world development. At the time when he met with Peter, he had recently returned from Uganda. Only hours before his murder, he had taken part in discussions on Utøya, led by Gro Harlem Brundtland, former Prime Minister of Norway and author of a major report on North-South relations. In Tore’s memory, Projects Abroad has now established the Tore’s Foundation. Projects Abroad has donated two free places a year for three years for volunteering in Africa. 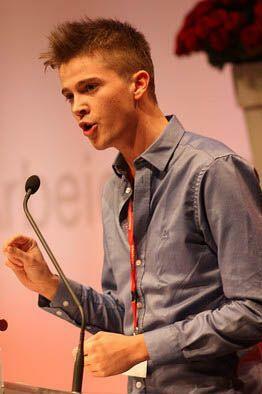 Applications for 2012 were invited from Tore’s local community near Bergen and from his Party’s youth wing. The first two have been selected by the Fund’s committee which has representatives from the Eikeland family, their local community and the Norwegian Labour Party. The first two delegates who will join us this summer are Tina Juul Hermansen and Inga Magdalena Vatle Sandgren.